Should employees who go out on strike against their employer receive unemployment benefits? Wouldn’t an award of unemployment benefits prolong labor disputes and unfairly tip the scales of justice in favor of employees over employers? These questions—and more—were raised by claims filed by strikers who participated in the 18-week strike last fall and winter against FairPoint, Maine’s largest provider of landline telephone and internet service. On June 5, a Hearing Officer employed by Maine’s Bureau of Unemployment Insurance determined that FairPoint employees involved in the long-term labor dispute with the utility giant were eligible for unemployment benefits. In doing so, Maine joined Vermont in awarding the FairPoint strikers unemployment benefits, but reached a different result from our neighbors in New Hampshire. Why were employees who participated in the same strike eligible to receive benefits in Maine and Vermont but not in New Hampshire? The answer to that question is simple. Unlike some benefits, like Social Security, which are governed by federal law and thus are decided under the same law regardless of whether an employee lives in Maine or Hawaii, each state has its own rules regarding unemployment. Thus, strikers who are involved in the very same dispute in two adjacent states can be eligible in one state for unemployment benefits but disqualified in the next state. That’s exactly what happened here; if you were a FairPoint employee who made the mistake of living in New Hampshire, you apparently were able to live for free (or otherwise die). There is surprising uniformity across the nation with respect to the question whether employees who go out on strike should be eligible for unemployment benefits. While businesses argue that awarding benefits to employees who go on strike prolongs labor strikes and favors employees, the opposite is equally true; denying employees unemployment benefits favors employers and arguably forces employees to return to work sooner than they might. For that reason, most states, including Maine, don’t automatically award or deny strikers unemployment benefits. Rather, as the Hearing Office noted in the FairPoint decision, they look to see if the strike has caused a “substantial curtailment” of the employer’s operations. That determination depends on the individual facts of each case. In the utility setting, that includes whether customers lost service, how long it took service to be fixed or restored, how long it took to get new service installed, the company’s revenues, and a multitude of other factors. After evaluating those factors, the Hearing Officer concluded that there was no substantial curtailment of services. In Maine, unlike most states, however, that is not the end of the story. Maine makes its harder than most states to get unemployment benefits in the event of a labor dispute. In Maine, even where there has been no substantial curtailment of the employer’s operations, employees still are not eligible for unemployment benefits if the curtailment was avoided through the use of current and former employees. In practical terms, this means managers and retirees. On the other hand, if operations are substantially maintained through the use of scabs, or strike replacements, then strikers are eligible for unemployment benefits. This provision was added to our state law in 1985 to encourage employers to continue to operate during strikes, but not by hiring additional personnel. 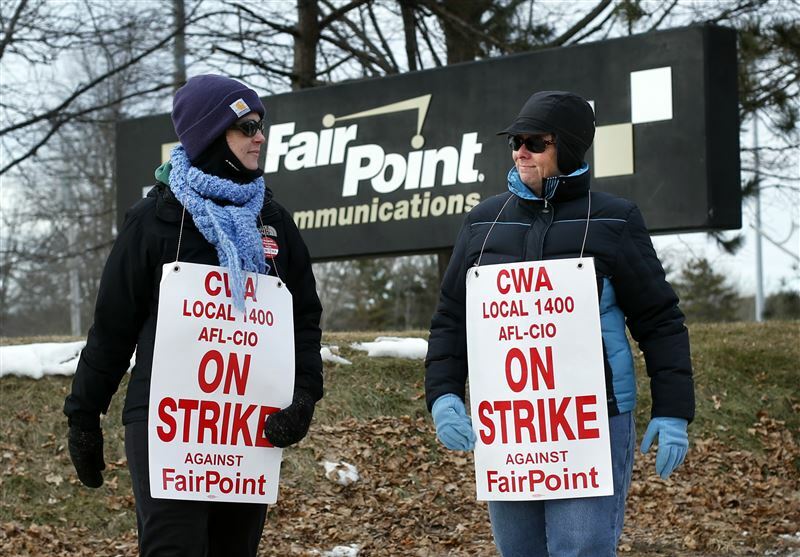 In the FairPoint strike, the utility did not hide the fact that it contracted with numerous companies to provide services normally accomplished by the striking employees. Not only did FairPoint hire contractors to provide linemen, to set new and remove old phone poles, and to provide clerical support, but it also routed service calls and complaints to contracted call centers outside of Maine. So, was the Hearing Officer right to award the FairPoint strikers unemployment benefits? To be fair, I’m more than a little biased; I represented the strikers at the unemployment hearing. But, given the Hearing Officer’s conclusion that there was no substantial curtailment of operations, and the undeniable fact that FairPoint used a host of contract employees—exactly what the 1985 amendments expressly were enacted to discourage—then the conclusion was inevitable. But, this just in; FairPoint has appealed the decision. Stay tuned. In the mean time, happy Independence Day.